MK Ayman Odeh, leader of the Hadash-Ta’al alliance which won 6 seats in the election, thanked activists “Arabs and Jews, who believe in democracy, and all those who went out and voted despite incitement, hate and racist legislation.” Odeh also expressed the hope that the Balad-Ra’am list would defy the exit polls and pass the 3.25% electoral threshold and make it into the Knesset. Despite a last-minute surge to the polls, Israel’s election on Tuesday saw an historically low Arab turnout, with barely half of the community’s eligible voters exercising their democratic right to vote for the 21st Knesset. With 99% of the votes counted, the turnout among Arab-Palestinian Israeli citizen’s voters stood at 50%, marking an unprecedented low following calls to boycott the elections. 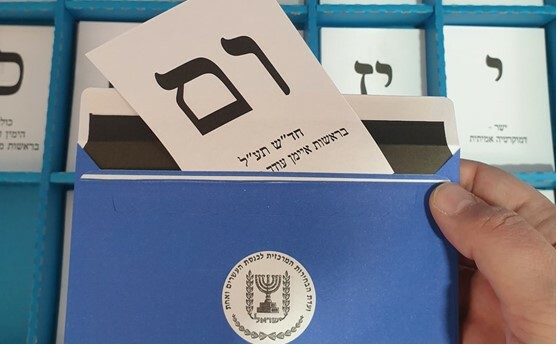 Hadash lawmakers on Tuesday afternoon proclaimed an emergency after prominent pollsters warned of what could be the lowest Arab voter turnout rate in the history of Israeli elections. Four years ago, in the previous elections for the 20th Knesset, 64% of Israel’s voting age Arab population turned out to vote. In the last hours of that Election Day (March 17, 2015), Prime Minister Benjamin Netanyahu hysterically and infamously warned his right-wing supporters that “the Arabs are heading to vote in droves,” even though their turnout was considerably less than the overall national average of 70%. Israeli police confiscated as many as 1,300 miniature digital cameras from Likud party election observers at Arab polling stations on Tuesday. According to Hadash sources, the Likud observers were caught red-handed in a number of Arab towns, including Sakhnin, Majd al-Krum, Nazareth, Rahat, Tamra and Jisr al-Zarqa. Netanyahu defended on Tuesday the illegal presence of cameras saying, “There should be cameras everywhere, not hidden ones.” When a reporter asked why he thought they were needed he said, to “ensure a fair vote.” However placing cameras at a polling station is a criminal offense, police said. After their discovery, Central Elections Committee chairman Justice Hanan Melcer issued a directive prohibiting photographing or videoing voters inside polling stations.